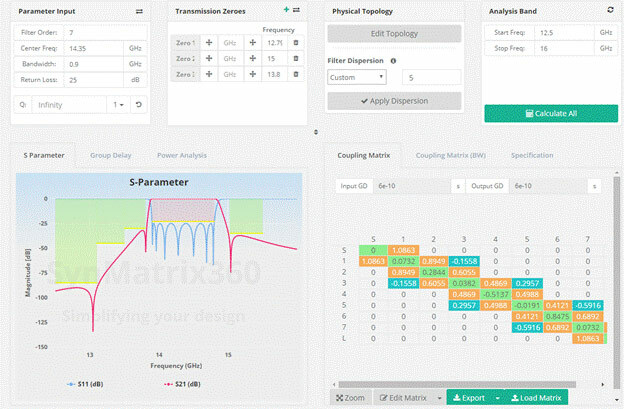 Synmatrix offers powerful tools and features to help improve and accelerate RF component design, measurement and manufacturing. 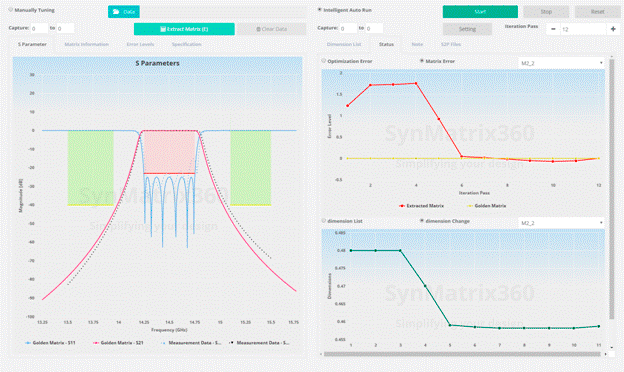 SynMatrix offers a variety of design and analysis tools for complex engineering. Band pass filter or Diplexer synthesize, coupling matrix extraction, and dispersive effect analysis are a sampling of features that are available. ML algorithms are used to incorporate the dispersive effect and spurious prediction to eliminate repetitive, time-consuming processes. This yields faster, more accurate designs, and lowers your development cost by shortening the overall product development cycle.